2017 has already proven to a big year for PlayStation fans with quality releases like Gravity Rush 2, Yakuza Zero, Nioh, NieR: Automata, Horizon Zero Dawn, and Persona 5 to name a few. The hits continue to come in June, with three titles releasing on PlayStation 4 that tie in very closely with the birth of the PlayStation brand. Bandai Namco’s flagship 3D fighter releases this Friday for PS4, Xbox One, and PC. The seventh main entry in the series has taken its sweet time arriving on consoles, but finally fighting fans can see the end of the Mishima clan drama. Although Tekken 7 isn’t exclusive to the PS4, the series is no doubt closely tied with the PlayStation brand with the original Tekken launching on PS1 in 1995. Fighting games are one of my favorite gaming genres and I have very fond memories of putting quarters in arcade machines to play Tekken 2 and Tekken 3. The other major 3D fighter during the time was Virtua Fighter, a Sega property. Although Virtua Fighter came first, the accessibility of Tekken, its cast of characters, and the success of the PlayStation brand helped the series achieve tremendous popularity. 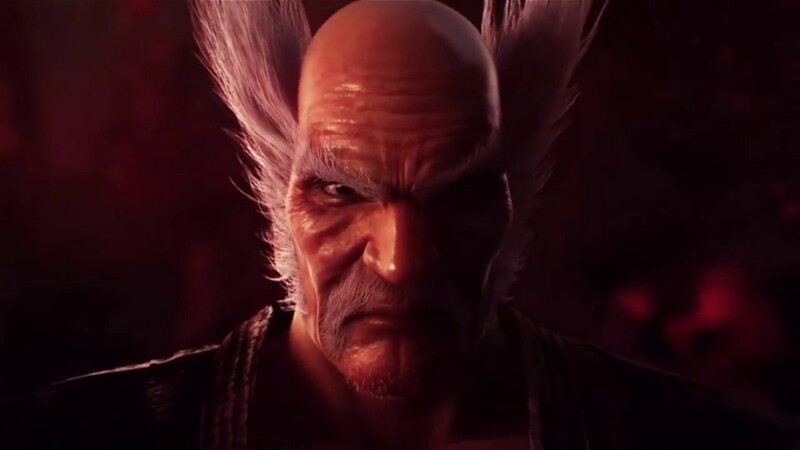 I still think Heihachi is one of the coolest old dudes in gaming. As Tekken 7 has approached release these past few months, my anticipation has only grown. Much like Tekken, WipEout has a long history with the PlayStation brand going back to it being a PS1 launch title in 1995. It stands out in my mind as one of the premiere futuristic racers in gaming, alongside F-Zero. Its unique visuals, killer speed, and techno soundtrack have led to it being a core favorite among PlayStation’s legacy titles. It has appeared on other consoles as well, but remains most associated with Sony’s brand. WipEout Omega Collection is a great opportunity to experience the series for newcomers. It brings together WipEout HD, WipEout HD Fury, and WipEout 2048 in one remastered package. Reworked textures and improved graphical effects for the PS4 and PS4 Pro add to the enhanced release. Throw in the reduced price of below $40 at most stores and WipEout Omega Collection becomes even more of an appealing proposition for racing fans. Rounding all the June releases is the return of Crash Bandicoot, who has been closely tied to the PlayStation brand since the beginning. After all, Crash Bandicoot served as Sony’s mascot for a significant portion of time. Nintendo had Mario, Sega had Sonic, and Sony had Crash. Who could forget the classic commercials which saw Crash calling out Nintendo in a series of ads.. The orange marsupial would go on to achieve much success and fame on PS1 with a series of games, including a kart spin-off title like his adversary Mario. Although his popularity and status have waned over the years, as Sony figures like Kratos and Nathan Drake rose to prominence, Crash has remained a beloved figure. With the release of Crash Bandicoot N. Sane Trilogy he is returning to PlayStation in a big way. The N. Sane Trilogy features remasters of the first three games in the series, updated with HD visuals and improved sound fidelity. As someone who didn’t join the PlayStation family until purchasing a PS3, I largely missed out on the original Crash games. This remastered package like WipEout Omega Collection is a great way to experience the series and it too arrives at a reduced price of below $40. I remember seeing the PlayStation for the first time in person at my local Circuit City (RIP) and it is somewhat fascinating to think how far the system has come. It no doubt owes part of its early success to the three franchises mentioned above and it is good to see them all represented on the PS4 in 2017.